Robinsons is a Singapore-based department store that also has a branch in Kuala Lumpur, and the new Dubai location is spread across three levels and 200,000 square feet, and boasts 600 brands. Spread over three levels, across 200,000 sq ft and with 600 brands, this oasis of inspiration is now the largest department store in the region giving home to 90 exclusive fashion and beauty brands, as well as John Lewis home collections (available only at Robinsons) on top of the large variety of carefully selected international and local labels. Al-Futtaim, one of the most progressive regional business houses headquartered in Dubai, brought the leading fashion department store Robinsons to the GCC and the Middle-East through a joint venture agreement with the Chalhoub Group. This season, bring an element of sophisticated luxury to your beauty routine, with a range of premium offerings from Robinsons at Dubai Festival City. Browse through exquisite perfume collections, powerful skincare options … see more..
Top tips and interactive workshops from beauty to food at Robinsons Fashion Catwalk 2 August 2018, 11am-noon Give your wardrobe some TLC with advice from a top fashion influencer. Get hot … see more..
From engraved perfume bottles and Swarovski crystals to embroidery and embossing, personalization knows no limits this Valentine’s Day and in this season of love Robinsons is offering you and your significant other … see more..
Robinsons is celebrating DSF with a range of irresistible events that are sure to draw in the crowds. Choose from styling events, exclusive customisations and expert workshops. Robinsons Sneaker Art Robinsons are … see more.. 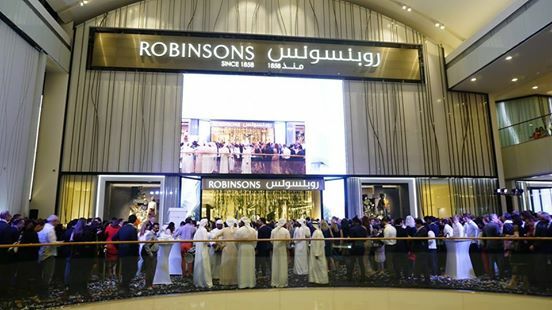 The first Robinsons store in the GCC and Middle-East was opened at Al-Futtaim’s Dubai Festival City Mall on 28th March 2017. The Department store will offer a large selection of categories including fashion … see more..
Robinsons Anniversary sale is on! 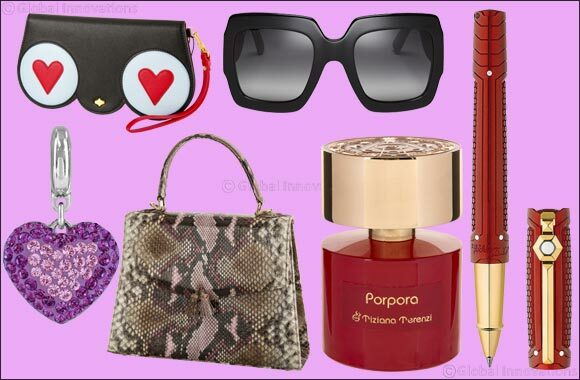 Get up to 25-50% off on selected fashion, lifestyle and beauty items from 27th till 31st March. Happy shopping! 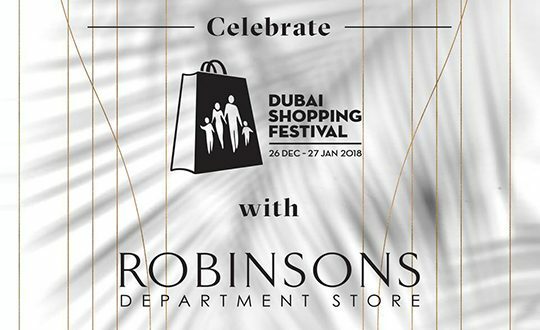 Check out the DSF sale happening at Robinsons Department Store in Dubai Festival City Mall offering up to 30% to 60% off on your favorite brands. Get the best of DSS at Robinsons Department Store Dubai. Festival City. Get 25% to 60% OFF on a great selection of Fashion, Beauty & John Lewis Home.